A Distance Education MBA was the trend the trend and will always remain as a trend in India the requirements popping out every now and then requires a benchmark degree MBA, Students, aspirants, entrepreneurs, and even professionals are always gearing up or trying to inculcate the education in their resume. Working professionals don’t have time to attend the regular classes thus distance education MBA programme is the most suitable option for them not only a distance MBA affordable it also provides all the flexibility to the students to study at their provide preferred time. Since time is not affordable always in this article we are going to mention some universities that provide the best distance education MBA in India. General management, Marketing management, Finance management, Banking, Retail management. Material management, Service management, International Businesses management, Information Technology management, Projects management. Telecom Management, Operation Management, Entrepreneurship, Hospitals Management, Pharma Management, Investments Management. Logistic & Supply Chain management,Shippings & Port management,Tourism & Travel management,Educations management,Safety management,Export & Import Management, Event Management. Oil and Gas management, Airlines & Airport management, Investment management, Environmental management, Aviation management, Disaster management, Shipping, and Air-Cargo Logistics Management. Amity University is one of the finest of the finest when it comes to deliverable and quality education. Unlike other private universities, Amity has uplifted their standard and has been successful enough to segregate themselves from the rest of the Private’s university herd. They provide online MBA offered by Amity University is a two-year degree course that offers 14 industry specializations. The candidate must be a graduate with minimum 40% marks to be eligibles for Amity distance MBA course. The application process is a simple candidate can apply online or offline as well the application fee costs around Rs. 1100/- Rest of the proceeding can be continued accordingly. The fees structure of MBA online distance learning program is around 1.5 lacs. Sikkim Manipal University is one of the old dest universities who planted out the distance learning program in India the distance education MBA program is one of the top most popular courses offered by SMU-DE. The course structures are based on peculiar industry standard and crafted by qualified professionals from the industry itself. The SMU-DE distance education Master of Businesses Administrations (MBA) course is a two-year degree course that offers 4 MBA specializations. Candidates can apply online through the university’s website. The semester’s feeses are around 20,000 INR which is inclusive of 5,000 exam fees. A tough competitor for the others and also one of the first choice of any students SCDL has a plethora of credentials to flaunt. If you are looking for a distance education institute for doing your MBA at an affordable fee SCDL is the options for you. Being an institution SCDL only offers 2-year post graduate diploma course in businesses management which is considered equivalent to the MBA program. 10, 10+2 and Graduations from any recognized university is a mandate. Candidate can apply online through the university’s website. One time payments of 36,000 INR is charged. The second payment of 24,000 is there and then the last payment of 16,000 INR is charged. 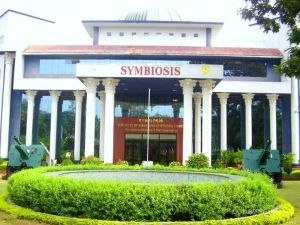 IGNOU is India’s oldest and brilliant open universities which provide the solution for more than 5 decades the university is known for its well-crafted distance learning solutions and have huge student databases. 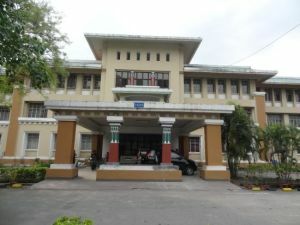 The IGNOU MBA is one of the most reputed and highly accepted distance education programs in the field of business management available in India. 10, 10+2 and Graduation from any recognizes school and college is a mandate. Candidate can apply online or go to any of the IGNOU center established in the city. IGNOU has a standards fees of 31,500 INR for nearly every distance learning courses. 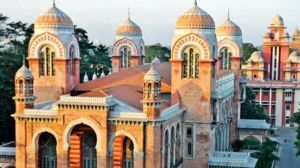 Establishes since past 160 years, University of Madras does not need any recognition words to back it. Candidates should have a valid 10, 10+2 and Graduations degree from a recognized school and college. Candidates can apply online through the company’s websites or either by approachings the university directly.